Aww yeah, we are here in bar 101! Just like I love Strawberries in the summer, I love Apples in the fall. 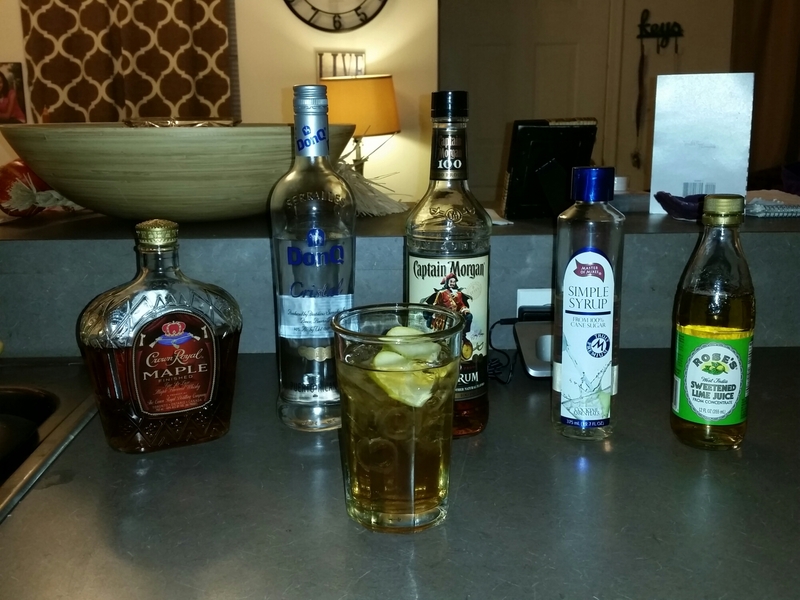 I decided to play in my kitchen again, and figure out what to do for apple flavored cocktails/drinks. My first idea was a sangria. Ever since I discovered how easy it is to make sangrias at home, I can’t get over it. I always have it on hand, just in case I have company over, or maybe I don’t want to be a bartender that night. I just want to chill and sip on some wine watching tv. It’s also the only way I can drink red wine in all seriousness. by itself, I can’t stand red wine. Yeah I’m weird. 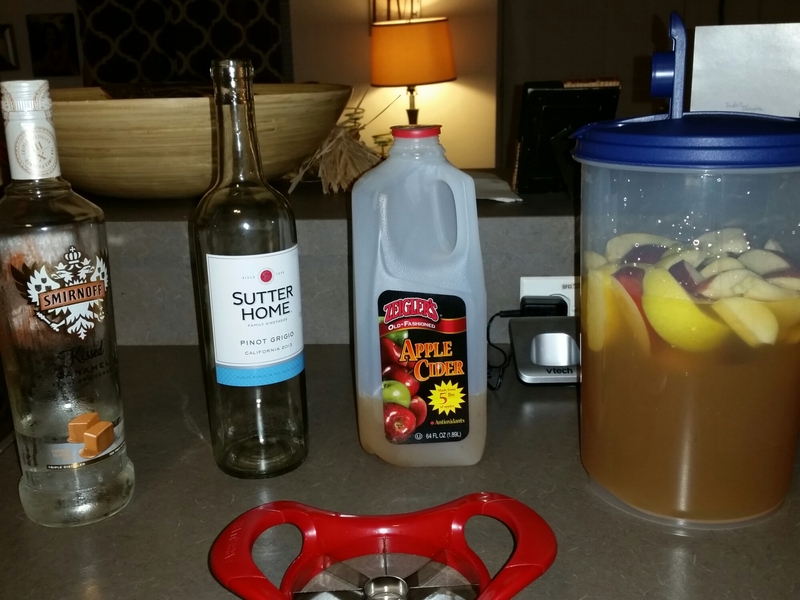 After I thought about it, I came up with Caramel Apple Sangria. Let me tell you, it’s delicious! I still have it, and pictured is red and granny apples. I shall do something with those. Give me time. Next up is the maple apple cooler. Do not let the drink fool you. Though it’s a cold drink, the contents with heat you up, and have you drunk very quick. Very sweet, strong, and deadly. LOL. I love my taste, but I try to make things that my male counterparts would love. Anyways have a strong drink a guy can drink. Great way to get favors. LOL. Just kidding. 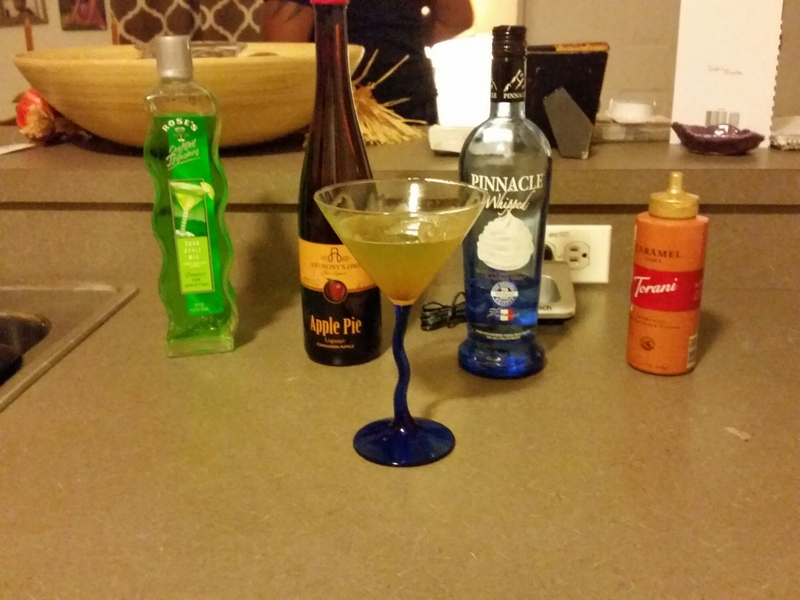 Lastly was my creamy apple pie martini. It looks so beautiful. It tastes fantastic. The caramel in the glass adds to the look as well. Besides who doesn’t like drinking pie? Exactly, said no one ever. Kept it simple and new. I got tons for you guys this Halloween. Oh man, I’m so excited! 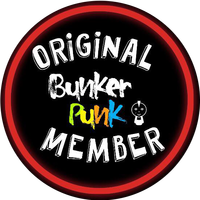 Next Post Creative Halloween…..f*** the stress.